Do you need a bigger file? The file available on this site is 1024 x 828 px. To obtain an alternate file type or higher resolution copy, please contact the owning institution. Digital resource published by the Regents of the University of California. Item featured on the website "A History of UCSF" - history.library.ucsf.edu. Scope/Content: The LEO featured a wide array of clinical laboratory services. 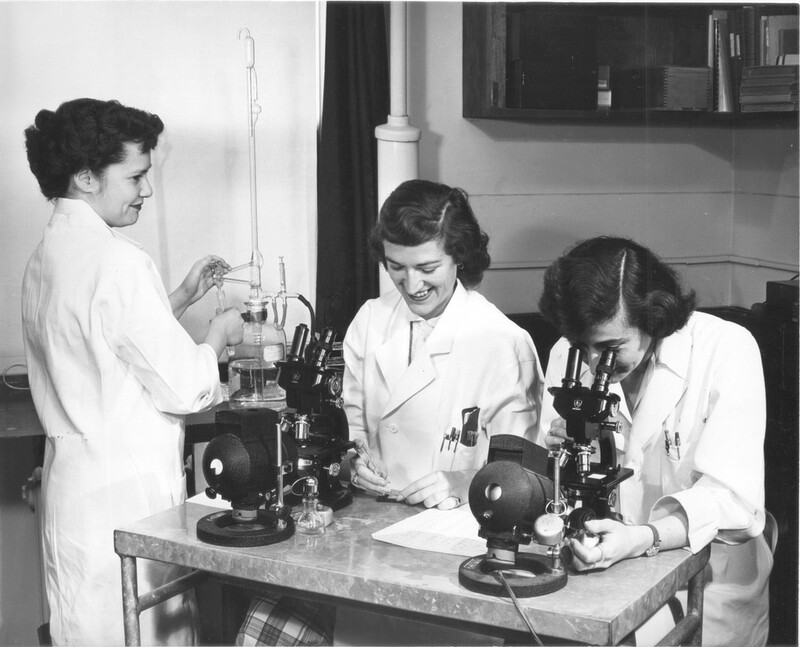 Here Mrs. Emma Klemente, Miss Fauno Cordes and Miss Aline Littman Napp perform blood counts in the hematology lab; three women with microscopes.